This development is a significant blow to the California regulated community. Marley had been at the helm for 10 years, and had been an excellent leader, coordinating efforts to achieve balanced outcomes in regulation. She was always willing to listen to all involved stakeholders, and empowered her staff to work toward consensus of all parties. 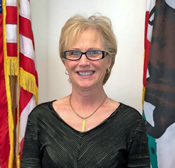 CALPASC Director of Risk Management spoke at the most recent Board meeting, thanking her for the leadership and respect she showed to all the regulated community stakeholders. It is concerning for CALPASC that we are losing a solid leader in this role, just as some very significant regulatory proposals will be going through the Standards Board. Residential Fall Protection, Workplace violence prevention, Indoor Heat Illness Prevention, requirements to provide IIPPs to employees, and lead exposure in Construction and General Industry are all going to be contentious regulatory issues. Ms. Hart will be sorely missed, and we can only hope a qualified candidate with her vision for regulatory balance is picked.